The reason why I like Nikon 18-105mm f/3.3-5.4 lens personally is that this lens provides a useful focal range accompanied with image stabilisation mechanism that too with consistently sharp images, and is moderately priced (though I am not a big fan of Zoom lenses because of distortion). For people on budget and seeking a versatile focal range, this lens is a no brainer choice. 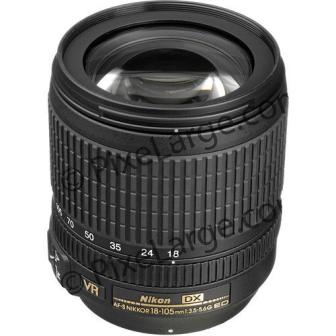 When Nikon offered 18-105mm f/3.3-5.4 ED VR glass, it was obvious overlap with 18-135 mm in terms of focal range. What is more striking as a difference between these two, apart from a reduced focal length, is presence of VR (vibration reduction). With VR there’s an addition of optical features like ED (Extra low Dispersion) glass element and an Aspherical lens element with Nikon’s Special integrated coating. All this accounts for advanced techniques in lens construction. It goes however without saying that, just like every other piece of equipment, this lens also has its limitations. Considering the price tag, those are not discouraging in the light of its capabilities. It has barrel distortion, soft corners and vignetting but that’s about it, there’s nothing that can’t be corrected in post-production. I found the lens intriguing, and behaving as a good tool substantiating my perspectives while shooting in cold winter sun landscapes. Nikon 18-105mm f/3.3-5.4 is a good companion lens on my D7000 for my early morning expeditions; it balances well on the body and has efficient low light performance for the job as well. I really enjoyed the experience of its versatility, covering wide angle to moderate zoom with sharp colour reproduction while on move. Though I have to be a little more careful with it since it’s a modest built with a plastic mount but again I like its lightweight character that makes it a walk around lens, so I am not going to complain about its built for the offered price range. 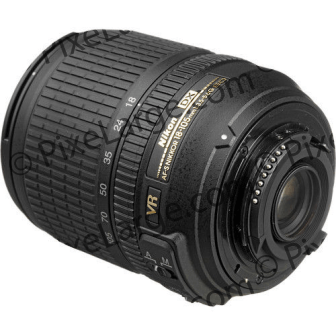 Nikon 18-105mm f/3.3-5.4 gives you focal range of 18 to 105 mm. 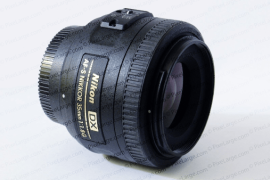 Since it is a DX lens, it is expected to give dark corners on full format camera. This glass gives out a maximum aperture f/3.5-5.6 and minimum aperture of f/22-38. 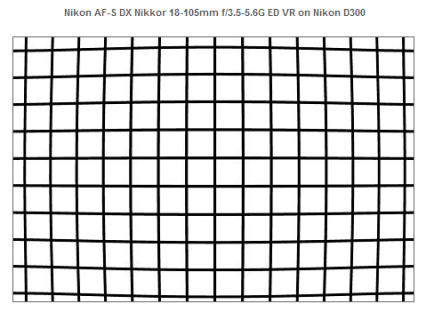 There are seven rounded diaphragm blades on Nikon 18-105mm f/3.3-5.4, so manages to please you with a circular out of focus background with whatever it has. Plastic mount. Not much of a problem if lens is handled carefully while mounting and un-mounting in general. If damaged, it has a cheap $10 replacement. 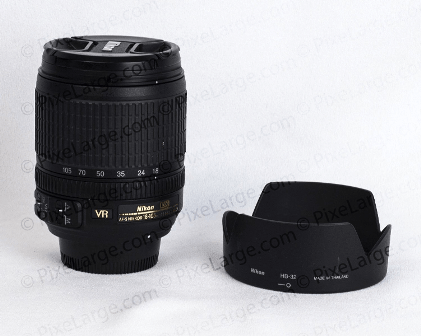 As many would have already noticed, Nikon 18-105mm f/3.3-5.4 zoom is similar in size to its predecessor 18-135mm. The barrel is modestly built with good quality plastic right upto the mount. The zoom ring is broad and is placed in the front of the focus ring which is rather small but ample. The Ribbed rubber feel on the zoom ring gives a comfortable and smooth zooming action and has enough resistance to discourage “zoom creep” (accidental movement of the zoom ring when pointed downwards). 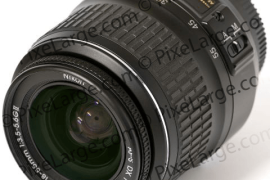 As it is a G lens, so there is no aperture ring but being a DX format lens, we won’t be missing it either. The focus ring is thin but smooth and its positioning is accurate. I found that it’s easy to maneuver the right ring and not accidentally moving the wrong one while shooting because of the difference in size of both the zoom and focus ring. That said, the focus ring seems a weak link- it turns just a little above 80 degrees and is not very manual focus friendly. There are no distance scale markings. 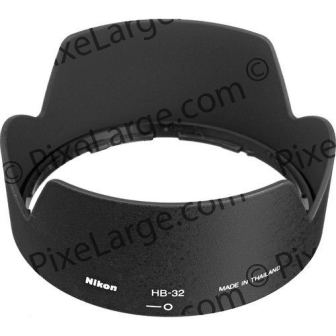 Nikon supplies the lens with a HB-32 petal shaped plastic bayonet hood which can be reverse mounted for storage and portability. The filter thread size is 67mm. Polarizing filters is effortlessly usable since the thread does not rotate while focussing. It has 76 mm diameter and is 89 mm long. 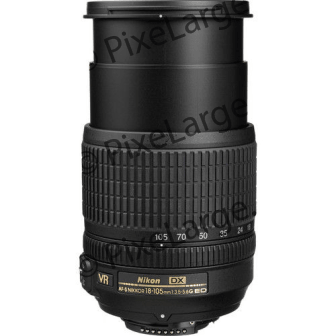 Nikon 18-105mm f/3.3-5.4 weighs just 420 grams which speaks a ton about its use as portable travel lens. This lens has 15 elements in 11 groups with one ED (Extra low Dispersion) glass element which minimizes chromatic aberration and one Aspherical lens element which corrects distortion at wide angle. The close focus distance for this lens is not something remarkable but it is decent 0.45 metre (1.5 feet) throughout the zoom range. It gives the maximum reproduction ratio of 1:5. 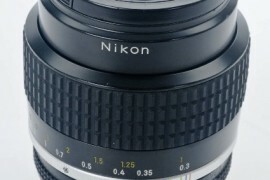 Nikon has featured IF(internal focussing) in this lens, which is surprisingly pleasant to observe that the lens does not change its length while focussing. 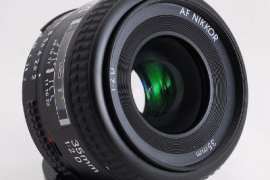 The Auto Focus mechanism is quiet fast and silent for a lens in given price range. 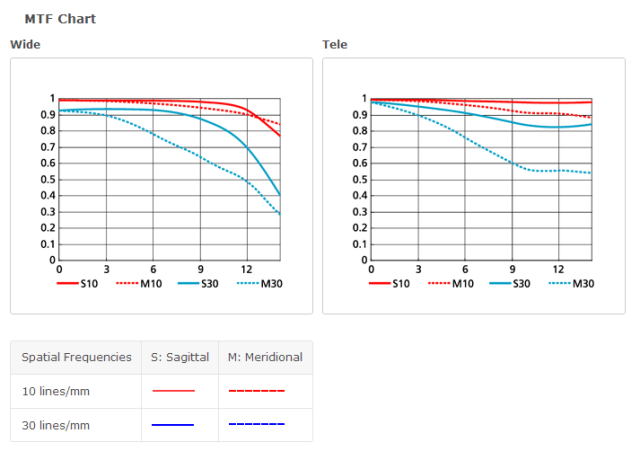 The AF-S system lets manual override possible but is not very smooth. The AF is fast enough for general purpose use but is not meant to shoot action. It is a little slow in low light but works accurately most of the time. 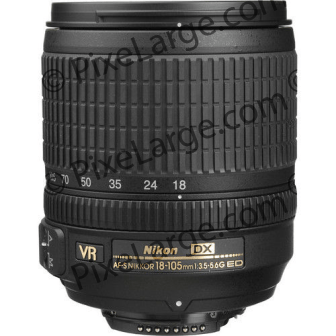 The Nikon 18-105mm f/3.3-5.4 VR is fully capable of resolving to the potential of camera’s sensor, particularly in center. The sharpness is weak at 18 mm wide open but I got decent results when I went 1 stop down on the aperture. over 24 mm it gave me very good results on the entire zoom range, especially around 50 mm. At 105 mm there are some noticeable soft corners but not of deterring nature. Stopping down the aperture till f/22 has given good results to me, beyond that same cannot be said for this lens. It is typical feature of lenses of this kind to have pronounced barrel distortion, especially at lower focal length of 18 mm. It is a simple barrel induced distortion and can be easily corrected in post-production software. As we go towards the long end from 24mm, there is a slight pincushion distortion ( the one in which the lines on the periphery bend towards the centre) which is not very evident until you photograph straight lines and brick walls. There is chromatic aberration throughout the focal movement in the corners, but it is significant only at 18 mm, though its easy to overcome the same with few stops down on the aperture. Slight zooming out has shown reduced effect of aberration. There is very subtle falloff or corner shading when the lens is used at largest aperture, otherwise it is not remarkable. Stopping down on the aperture also reduces vignetting remarkably. This lens has given me well exposed, sharp images along with portability and optical versatility. But do I recommend this lens? For amateurs/ beginners – If you are willing to learn only the portrait and landscape photography, and you just desire one lens this is the one for you. But if you want more, and if you are willing to spare some extra dollars I have 3 suggestions – Nikon 18-55mm, Nikon 28-80 f/3.5-5.6 and Nikon 70-300mm f/4-5.6G or 70-210 f/4-5.6. 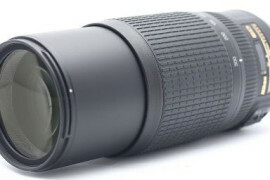 For Enthusiast – If a regular zoom lens is all that you want, then you can go for this 18-105 mm for you will get bang for your buck, or the more expensive 18-200mm for a wide focal range. As I am not a big fan of zoom lenses so I would have preferred to put my money in a primes as an enthusiast photographer. For Pro- As evident, this is not a lens for you. 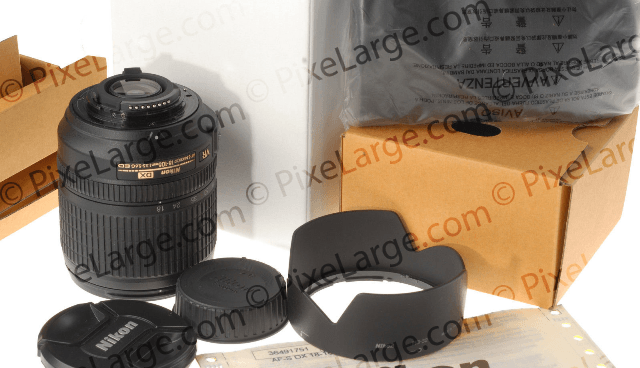 So in the market this lens has two basic comparisons – the 18-135 mm lens and the 18-200 mm. The presence of VR (vibration reduction image stabilization) in this lens has rendered the non VR 18-135 mm redundant according to my opinion. The reason being, for 30mm less we are getting superior optical quality and image stabilization. 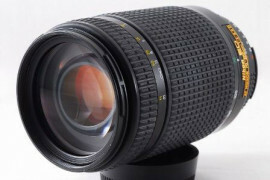 Whereas 18-200 mm is three times more expensive, has double the weight and gives distortion across wider zoom range when compared to the 18-105 mm. So long story short, Nikon 18-105mm f/3.3-5.4 is a decent package of features for casual photographers as well as serious shooters for the money it demands. 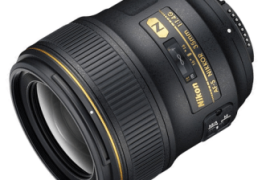 You won’t be disappointed with this lens.